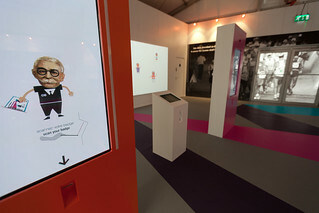 Installation for the IOC exhibit London 2013. Scenography by Trivial Mass. Interaction Design by Douglas Edric Stanley / abstractmachine & Bype.